The Hanningtons Lane Estate has been sold by RBS for more than £50million to pan-European retail developer Redevco. The former department store is part of a multi-million pound redevelopment, which will see a listed North Street shop demolished to create a new twitten, Puget’s Lane. 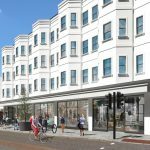 Its new owners have already been working closely with Brighton architects Morgan Carn to complete the construction drawings of the scheme, which is due to start imminently. Adam Starr, Managing Director Redevco UK, said: “The Hanningtons Estate epitomises all the key factors that Redevco is looking for in its retail investments. “It’s located in an attractive, historic shopping district at the centre of a town that is a magnet for visitors and has an affluent and creative population. “There are also numerous opportunities to add value through asset management and development as we have done in High Streets located in historic areas in towns and cities across Europe for many years. The portfolio acquired by Redevco around the site of the former Hanningtons department store consists of nine adjoining and interconnecting buildings comprising 11,250 m2, currently housing 29 shops , 1,800 m2 of offices and 41 homes. Redevco said Brighton ranks 14th in the UK and 59th in Europe as a very good experience retail destination under its city attractiveness market research designation, placing it roughly on par with Bonn in Germany, or Bordeaux in France. Meanwhile, the developer of the neighbouring Brighton Square scheme, Centurion, is asking the council to lift a condition which prevents them starting work there because of a “chicken and egg” problem over an electrical substation. The substation, which is part of the Hanningtons Lane estate, needs to be demolished for both schemes to go ahead, but the council currently says this cannot happen until work on the rest of the Hanningtons scheme is guaranteed to start. However, the lenders for the Brighton Square scheme say they won’t release funds until the substation is demolished, which with new ownership is unlikely to happen for some time. Architects Morgan Carn have written to the council saying: “We have a classic chicken and egg situation. 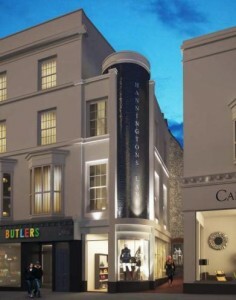 “Centurion is ready to start Brighton Square but need a Hanningtons Lane building pulling down. “Centurion’s funder won’t release the funds which enables them to sign a building contract until [condition] is discharged.